What does the cooling system do for your Volvo and how does it work? All vehicles require a cooling system in order to function properly. The temperatures under the hood of your Volvo can get extremely high, which necessitates an on-board cooling system to help regulate the temperature and optimize engine performance—especially during hot months of the year. The cooling system includes cooing fans that are adhered to the radiator. Their sole purpose is to draw air into the radiator to help cool down the engine. Without cooling fans working well, the coolant liquid cannot help bring down the engine temperature. This leads to concerning performance issues in your Volvo, making it critical to address such issues quickly and efficiently. What are the main components of the cooling system? If any one of these components is compromised or experiences failure, it can lead to significant engine damage over time. 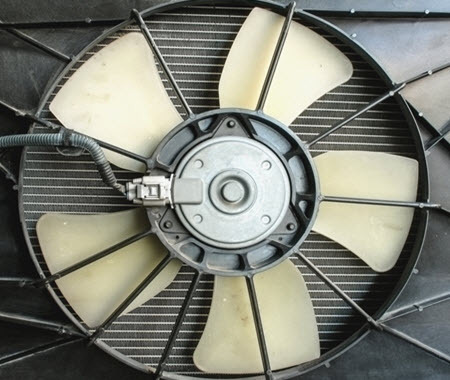 What are the symptoms of cooling fan failure? What could cause the cooling fan to malfunction? Performing a differential diagnosis is an important first step in fixing cooling system issues, as the problem may not be the cooling fan itself, but a blow fuse, a malfunctioning sensor, or a burnt out electric motor. Cooling system issues usually come up when outside temperatures get higher and the strain on the engine becomes heightened. Keeping your engine from overheating is the number one priority of the cooling system—a very important function that must not go overlooked. The Volvo experts here at Tech Plus Automotive, located in Scottsdale, AZ, always take a preventive approach in maintenance and repair work; we fix cooling system issues, but we also look at how the problem started in the first place and what we can do to keep it from happening again. In this way, we are the most efficient, reliable, and affordable automotive specialists in the area. If you’d like to schedule an appointment to have your cooling system inspected before summer hits, please contact one of our helpful Volvo experts today.